How Important Is It To Plan Your App Development Project Well? For most organizations, a mobile app has become much more than just an option. It is a necessity. And with the intricacies around mobile app development, it is just in order to know how important it is to plan your app development project well. Statistics indicate that virtually all companies worth their name are either already have or are developing their own apps. The software development life cycle (SDLC) is admittedly tedious and sequential. And with reports pointing towards poor planning as a major source of software project failures, we highlight how important planning is. Now, like any other project, app development is first conceptualized as an idea. This idea has to be nurtured and spruced up if it is to materialize into the desired product at the end of the project. With an upsurge of mobile app development, there is an increasing desire to get these projects right at the first stab. So, how can you plan your app development well? We have some of the answers! In app development, you should always ask yourself these foundational questions before commencing the project. Why should you develop the app? What purpose does the app serve? How does the developed app work? Planning the development of an app is a process often overlooked or hurried. In some cases, it is left entirely to the owner of the idea. But the truth is that this is a fundamental stage of app development. It is important because it determines whether a project becomes a success or a flop. Now, the magic of planning is that it questions the very reasons for existence of the app. In fact, the more questions you answer, the higher the chances for success of the app. Planning also allows you to determine the scope of the project, determine the goals of the project and fix future risks that may come with the app. At this stage, you actually lay out the basic concept of the project. Similarly, you lay out the core idea of the app concisely. You should also provide a brief description of the app. In a nutshell, this stage should answer questions around what the app is about, how it will work, the projections you have for the future, and how useful the app will be to its end-users. 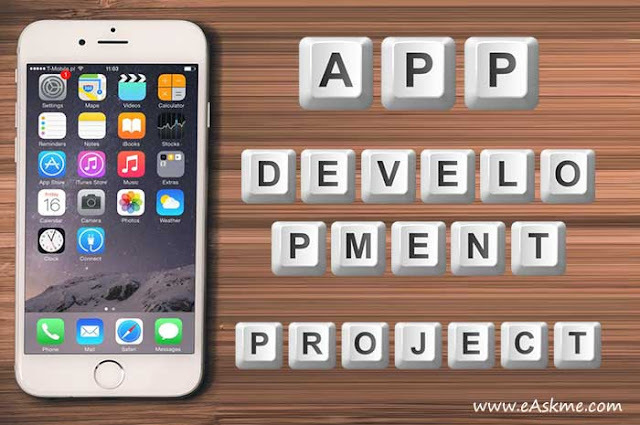 You should try, however, to minimize on unnecessary apprehensions concerning the app development as such could cloud your thinking and distract you from the very project. Nevertheless, this is the stage to raise all manner of concerns about the app and address all the worries which may involve security, network or system functionality. You should have a target group which the app is to serve. This process not only allows you to tailor your app to the targeted population but also enables you to conduct better mobile app marketing in future. Similarly, this process influences the design and nature of the app. As the first step of SDLC methodologies planning helps you to determine the size of your project. This way, you can determine the size of database you need to store user data, nature of network to use, and the right app store to use; iOS app stores, Android app stores or Cross-platform app stores. Understanding what the market currently offers is important. This step of planning helps developers to identify what makes an app unique and how it functions. This knowledge helps in determining the structural or User-Experience challenges. Even with a unique app project, chances are still high you will find an app doing something closer to what you plan to do. This insight helps you to determine what the users like about such apps. It also enables you to know bothersome features of those apps. This is particularly important in offering customers value. Through user reviews and feedback, you could pick out the competitive advantages of an app, and potentially how they market their products. This enables you to focus on the features that make an app successful and improve on the bothersome ones. This is perhaps the most important part of app development planning. You should make it as informative as possible by involving experienced developers and knowledgeable folk in the industry. Brainstorming helps to generate fresh concepts that an app should have. It also leads to critical examination of the app’s functionality and scope. Other equally important ideas that may have been overlooked in the initial idea could be raised for consideration. However, it is important to keep an app dedicated to one single core business. As is popularly said in app development circles; the simpler it is the more powerful it becomes. Communication is key not only to app development but also in any other project. The beauty of this planning tool is that it enables you to keep tabs on the progress of your project. Even if you lack the technical expertise in software development and coding, you can read and understand the flow of events. Additionally, creating a project workflow enables you to give clear instructions to the development teams. It allows you to better manage the time slotted for each stage of the project. This way, you could save on the software development cost. Fundamentally, the project workflow gives developers a clear picture of what the app seeks to be like, its functionalities, and the gaps it seeks to fill up. In conclusion, planning your app development project well is a foundation on which you could build your successful software. Planning helps you to deconstruct the myths, validate ideas and motivate your team towards a successful software development project. Software development project planning is also critical in determining competition, competitive advantages of rivals and the existing gaps in the products. With this insight, you could well be on your way to a successful app development project!